"The ultimate determinant in war is a man on the scene with a gun." Some excellent comments were written in response to last week's post "Taiwan's Past Matters Less Than Taiwan's Present." Two of these comments were particularly excellent, and I am saddened to see them languish in a little read comment thread. As we can't let that happen, I will post them here for the benefit of the wider readership. 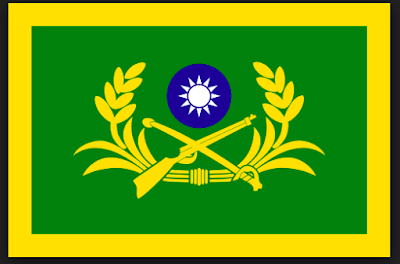 I am Taiwanese, by birth and by blood. My father's side is 外省人 [TG: someone who retreated to Taiwan with the KMT], my mother's side is 本省人 [someone whose ancestors have lived in Taiwan for generations, and whose mother tongue would likely be Taiwanese Hokkien]. This is not an academic distinction, my maternal grandfather went to college in Japan and served in the Japanese Imperial Army as an NCO. He was later involved in the Taiwanese independence movement. Many of his friends disappeared during the White Terror. His personal journal was written completely in Japanese. His last overseas trip was a college reunion. His last gift to me was a book by a Japanese right-wing author. My paternal grandfather was a mid-level officer in the Nationalist forces. After the retreat to Taiwan, he served in the KMT civilian administration. Every new year, we called his brothers in China. His ashes are interred in Taiwan, but his wishes are to be buried, alongside his parents, at the ancestral plot in Shandong. Let's just say my parents didn't have the easiest time getting married. The Taiwanese affinity for Japan is real, but in recent decades, has also been politicized and weaponized. Taiwanese nationalists recognize its usefulness as a cultural wedge, and there has been a romanticization of the Japanese colonial era, and, of course, corresponding counter-narrative. In the battleground for the minds of the young, Japan is winning by a landslide. As a Taiwanese (who also speaks Japanese), it's a bit embarrassing, honestly. The Japanese national conversation hardly recognizes Taiwan, and only the ultra-rightwing WWII-apologists in Japan bother to acknowledge Taiwanese goodwill, mostly as a weapon in their domestic political disputes. The revival of Taiwanese-dialect culture maps to the same political dynamics. However, Taiwan is also deeply demoralized. Successive governments have all but given up on the idea of national defense, the conscription term has been cut to almost nothing. What was originally a national rite-of-passage - universal male conscription - is now basically a joke. The military is a pension farm, and thoroughly compromised by Chinese intelligence. Taiwanese industry is very dependent on Chinese markets and labor, and the business elite of Taiwan have all named their price. Similarly, Mandarin Taiwanese pop culture is integrated with China, and must toe the line. At the university level, administrations are dependent on Mainland Chinese students, who, by and large, are more disciplined, more focused, and more ambitious than the native Taiwanese student. Unsurprisingly, intermarriage between Taiwanese and Mainland Chinese is also ticking up, both at the college-educated level, and at the mail-order bride level. Taiwanese tourism heavily relies on Chinese visitors. As with all of the former Asian Tigers, birth rates are far below replacement nationally, and they are catastrophically low in Taipei. Even as Taiwanese culture grows (partially by DPP policy) more defiantly differentiated from China, the actual capability to resist Chinese coercion, either economically or militarily, continues to wane. The CCP doesn't need to do anything, except keep their mouths shut and allow current trends to continue. The Taiwanese attitude towards China appears to be an exercise in denial and wishful thinking. And that takes a toll on the national psyche. The younger generations may have Netflix and sub-titled Japanese TV shows, eating at gourmet restaurants and taking trips to Sapporo, Singapore, and Sydney. They may laugh at the gawking Chinese that are too poor to visit Europe, and visit Sun Moon Lake instead, but these bumpkin Chinese have what they don't have - a comprehensive vision of the future, and a deep belief that they are standing on the solid rock of history, and that they aren't going anywhere. Whereas for Taiwan and the Taiwanese, everything is contingent. So take another trip to the wine countries of France, forget about having kids, and try to enjoy the moment. J's observations largely track my own experience in Taiwan (long termers will remember I was in Taipei for most of 2015-2016; my experiences there produced one or two blogposts of note). The "Japaneseness" of Taiwan is real and is readily apparent to anyone who has had experience with people from all three countries. In a way that is difficult to quantify or even articulate, Taiwan simply feels like the child of both of these cultures. This is true even in the north, where KMT resettlement was strongest. J is also correct to note that these differences have been overly politicized. Consequently, they are often exaggerated. But they are real, and folks like J are living evidence of their reality. From a mainland perspective these differences mean nothing. Taiwanese tend to forget the astounding cultural diversity within China proper. The culture and lifeways of Han Chinese living in Ningxia and in Guangxi are more different from each other than anything that separates Taipei from Shanghai. As different as Taiwan may be, it has more cultural affinity with inner China than Tibet or Xinjiang does, and rare is the Han Chinese willing to entertain the independence of either of those regions. However, one of the most significant cultural differences I observed when I moved from Taipei to Beijing had nothing to do with cultural heritage. J is right: the people of Taiwan are demoralized. There are benefits to this: Taipei is a less pretentious city than Beijing is. People are less concerned with putting on airs; the wealthy are less gaudy and hedonistic; nobody schemes of dirty, treacherous, or lecherous ways to get ahead. But that is exactly the trouble with the young of Taipei: none of them seem to believe that they can get ahead. Track down a student at Bei-Da and one at Tai-Da and you will find a world of difference. The Beida kid will not be any smarter than the Taida kid, but he will be infinitely more ambitious. Beijing is a city of dreamers and schemers. Chinese travel thousands of miles to live in that smog-choked, traffic-clogged wasteland of a city. Why? Because they earnestly believe that it is the place where they will rise above their origins. That kid from Beida starts high and aims higher. He earnestly believes that he personally is going to change the world. The kid from Taida? He doesn't even believe he can change Taiwan. The exception to this is politics. In the realm of politics, it is the young Beijingers who drift as their apathy guides them. The opposite was true in Taiwan—politics was the one place young Taiwanese thought they might make an impact. But that was in 2015. Disillusionment with Tsai Yingwen seems to have dampened that spirit a bit. I am more optimistic about the military situation. In terms of military culture, J is absolutely correct. Taiwan does not have one. I blame this situation largely on the ROC military itself. One could write a series of essays on the public relations and human resources mistakes the ROC military has made over the last two decades. Their mismanagement of the conscription system—which under normal circumstances would be the ideal vehicle for instilling such a culture—is criminal. The whining rhetoric that emanates from the Ministry of National Defense is also unhelpful. Taiwanese military figures do not shy from emphasizing the weakness of Taiwan's position, presumably in an attempt to get Washington to care more about their plight. However, by highlighting Taiwanese weakness all they (and their American supporters who make similar arguments) are doing is reinforcing the narrative spun by the PLA: Taiwan is doomed, too weak to be worth fighting for. Until that 1-2 dynamic changes, or some alternative correlation of power (thermonuclear ROC, PLA soldiers who can walk on water, Neo-Imperial Japan with giant robots with friggin' laser beams, etc.) arises, all the fine parsing of ancient sources will not amount to Jack Diddley except if it manages to sway gullible Americans. Americans can be gullible: TPM Barnett infamously thought that, if you bought low on Chinese power c. 2010, you could lock in American preferences of how the world should be into a hypothetical 2050 where the PRC dominated the world and the price would be too high. I doubt Barnett's option contract would have any more persuasive power in and of itself in a world where the PRC held sway any more than the VOC's claim on Formosa c. 1650 has power in and of itself to sway Washington or Peking today. If the VOC still dominated the Strait of Taiwan, then such a piece of paper might have kinetic force. The Dutch Navy sailing up the Yangtze and burning the PLA Navy at anchor would be as amusing as it is unlikely. However, the VOC is long gone and His Majesty's government in the Netherlands shows no sign of reviving it. Dutch naval power in the Pacific has been nil since 1942. Are there men and women willing to die to keep Taiwan free? Do the Chinese understand how committed they are? That is it. All of that other stuff about blood brotherhood and historical claims is irrelevant. What matters is who can get their man to stand on the scene with a gun. But here is where I part ways with Rees, who—if I understand him correctly—seems to think that only American men and American guns matter. U.S. military support is a necessary, but not sufficient, precondition for Taiwanese autonomy. Much depends on the Taiwanese themselves. The United States will not stop Taiwan from seeking reunification, if that is what Taiwanese voters ask for. But more importantly, the American military is tethered to the American public, and if that public has lost faith in Taiwan, they will not be willing to see American soldiers die for it. The whole structure rests on the Taiwanese people. If they are willing to sacrifice what must be sacrificed to maintain a credible deterrent, then their autonomy will be preserved. If they are not, no number of American fleets can save them. Comment by "J" on Tanner Greer, "Taiwan's Past Matters Less than Taiwan's Present," Scholar's Stage, 13 August 2018. Comment by "LCRees" on Tanner Greer, "Taiwan's Past Matters Less than Taiwan's Present," Scholar's Stage, 14 August 2018. The time was, sir, when we loved the King and the people of Great Britain with an affection truly filial. We felt ourselves interested in their glory. We shared in their joys and sorrows. We cheerfully poured the fruits of all our labour into the lap of our mother country, and without reluctance expended our blood and treasure in their cause... We felt ourselves happy in our connection with her, nor wished it to be dissolved; but our sentiments are altered. But admitting, that we were all of English descent, what does it amount to? Nothing! The last point is actually a rather powerful statement, considering that identities are not “constructed” overnight (even allowing for their considerable malleability). Indeed, that fact of history flies in the face of Chang’s bizarre claim that the Taiwan issue is not a “family quarrel” as I put it in the penultimate line of my original piece. Indeed, he reveals what many Taiwan nationalists would like to cover up and what few Americans seem to know: that to the present day, “… Taipei formally maintains it is the legitimate government of China.” Chang’s claim that this is not a “family quarrel” is nonsensical based on his own candid admissions. One may sympathize with the aspirations of the people of Taiwan to control their own destiny, of course, but the polls Chang cites cannot change the above facts of modern history. And yet since the vast majority of Americans are completely unfamiliar with Taiwan history—quite understandably given it’s on the other side of the planet—let’s review a few basic points that are always omitted from standard pro-Taiwan independence polemics, such as Chang’s. After Ming remnants fled to Taiwan in the mid-seventeenth century, the ascendant Qing dynasty invaded the island and solidified Chinese rule in 1683. In other words, Beijing formally ruled Taiwan for almost a century before the American Revolution. That makes for a rather strong historical claim. Speaking of historical claims to territory, Americans probably do not want to delve too deeply into the details surrounding certain American annexations like Hawaii. It’s best to probably leave those bones where they are buried. In 1895, not many years after the Chinese government designated Taiwan as its own province (separate from Fujian Province), Japan conquered the island. As a colony of Tokyo, many Taiwanese tragically fought and died for the losing Japanese side in the Pacific War. The bottom line, as our great President Harry Truman realized and stated unequivocally in early 1950 (see introduction), is that the Cairo Declaration is very clear: all territories conquered by Japan should be returned to China—including explicitly the island of Taiwan (then called Formosa). Of course, many in Japan (and more than a few in Taiwan) have nostalgia for the “good old days,” and a hint of this is indeed revealed in Chang’s critique when he states: “There are Japanese islands south of Taipei, and on a clear day one can see Taiwan’s mountains from Japanese soil.” While Japanese nationalists may sigh with emotion at such florid descriptions, Americans are rightly skeptical. What about all the Americans who suffered grave atrocities at Japanese hands and have never seen any kind of justice? Japanese nationalism and related threat inflation tendencies are unlikely to stir Americans to take massive risks for Taiwan. Then again, there is the other inconvenient fact of geography that the main islands of Japan (e.g. Kyushu) are some 700 miles northeast of Taiwan, and the soil Chang mentions with such reverence (Ishigaki island) amounts to barely a speck. There are folks who will dispute Goldstein's historical claims point by point. I will let them strain at such gnats, if they wish to do so. Here I want to narrow in on Goldstein's larger problem. Contrast this with the Taiwanese situation. As Chang reports, the percentage of Taiwanese that identify as Chinese (中国人) is comparable to the number of loyalist Americans in 1775. The percentage of Taiwanese under 35 who identify with the mainland is even smaller. It has been more than a century since the Taiwanese were ruled by the same regime as the people across the strait. Among other things, this is important because—as the generation of reformers and intellectuals that came to power in the early 1900s recognized—national identity and cohesion was extremely weak under the Qing. A strong sense of shared Chinese identity had to be built from the ground-up. Built it was, but the Taiwanese were never part of that building (Chiang Kai-shek's attempts to instill the same sense of national identity in Taiwan that he had successfully fostered in many parts of the mainland were fatally undermined by the massacres and terrors that accompanied them; even the imposition of the Mandarin language upon the populace, the symbol of modern Chinese national identity par excellence, is slowly being rolled back). The nature of the institutions that divides the two places is stark. The gap between the political values and practices of modern Taiwan and modern China is far and away more different than those which divided the Americans from the British in 1775. Goldstein privileges historical precedent and cultural kinship above all else. As an American, he should know better. If historical precedent and cultural kinship truly did decide the fate of nations, America would not exist. By these standards very few modern countries would exist. The national identities, borders, and ideologies of the majority of states on this earth are 20th century creations. Historical accident has played a grand role in the creation of these peoples and nations. Goldstein would strip the people of Taiwan of self government because their regime would not exist today except by dint of Kim il-Sung's decision to march south in the early days of the Cold War. But curious path dependency is a mainstay of international affairs. The division of the Arab world into a dozen different states, the fracturing of Gran Columbia, the existence of India as a centralized state—in all these cases and more, the borders of today were the result of arbitrary political maneuvers of decades past. The accidental nature of these borders does not make the nationalist yearnings of those whose lives are ordered by them any less real. Goldstein's cant is not too different from the declarations of that blinkered sort who call Palestinian nationalism a terrible conspiracy, for the Arabs of Palestine lacked a strong and distinct identity until recently in their history. In either case, even if the claim is true it hardly matters. We do not live in the 1940s. The world has changed in the eight decades that have passed since the victors of Second World War divvied up the world between them. Our policy towards Taiwan should reflect the realities of Taiwanese society today, not its character decades or centuries ago. Goldstein's general attitude towards history is a bit mysterious to me. In both his editorials and his book he is fast to accuse Americans of not knowing or caring about Asia's history, but he is extremely selective in the history he chooses to call his readers attention to. In this piece, his digression on Japanese war atrocities is odd and largely irrelevant to his thesis. Why is it there? One of the great accomplishments of the post-war order was the United States and Japan's ability to build a truly cooperative relationship despite the evils each inflicted upon each other years before. We are now decades past that rapprochement. Most who lived in the age of anger, fear, and racist rage that defined U.S.-Japanese relations in an earlier era are now dead. In 2018, how could the Bataan Death March conceivably be a useful lens through which to view Asian politics? I will not speculate about Goldstein's motives for focusing on the atrocities of Japan's imperial past, especially in an article that is ostensibly about Taiwan. I will, however, point out its consequences: Goldstein's framing obscures imperial Japan's actual relationship with modern Taiwanese identity. For fifty years, Taiwan was a part of the Japanese empire. Japanese imperialism was not destructive in Taiwan the way it was in most of the mainland. It was accompanied with little violence but a great deal of mutual trade, investment, and economic exchange. That does not make it right. But it does give substance to the notion that the Japanese occupation is just as much a part of Taiwan’s heritage as Qing suzerainty was. Even today, decades later, Taiwan has a cultural affinity with Japan that China proper does not. You see this in everything from the apps they use (e.g., the Taiwanese forgo WeChat and use the Japanese app Line instead) to the Taiwanese skill at queuing in quiet, well ordered lines. My personal impression is that the Taiwanese feel a stronger sense of kinship with the Japanese than they do with their "brothers" in mainland China. There are lots of ways to measure this (I'm partial to the LA Times writer who pointed out that one in three children books published in Taiwan are by Japanese authors), but lets stick with a financial one. After the 2008 earthquake in Sichuan, Taiwanese sent $95 million dollars across the strait. In response to the Tohoku tsunami, Taiwanese donated more than $250 million dollars of relief, more than half of it from individual donations. I would wager (though I admit I have not seen any polls that confirm it) that if the Taiwanese were forced to choose between a political union with Japan and political union with the mainland, they would opt for the former by a large margin. Years later we find Goldstein making the same errors. He still does not ask and does not know how people in Tokyo, Seoul, New Delhi, Hanoi, or Taipei think about the fate he has decided for them. He writes as if their actions will not matter. He sees the world as a place to be divided between Washington and Beijing, and cannot conceive of local powers working to subvert that end. His "cooperation spiral" approach to ending Sino-American conflict assumes that these countries will do whatever the U.S. and Beijing agree on. This is lunacy. That is the real lesson of 20th century international history. American foreign policy ventures have rarely failed because Americans did not understand their enemies. They failed time and again because Americans did not understand the true interests and intentions of their allies. Goldstein would have us make the same mistake again and again. Look folks: Gordon Chang gets a lot of flack for his book. And you know what? His book was clearly wrong. But in being wrong Chang really is not that different from any other analyst. I have written about political psychologist Philip Tetlock's pioneering work in this field before. The short version: the average analyst, regardless of whether he is a famous pundit, think tank bottom feeder, academic egg-head, CIA stiff, or military desk jockey, is no better at predicting the course of world affairs than a dart throwing chimp. The difference between Chang and the rest is that Chang had the gumption to make his prediction so public and so unambiguous that he cannot avoid being judged for it. Gumption alone does not make a good analyst. Accuracy matters. But given the rate of human failure in this domain, it makes little sense to judge an analyst solely for the accuracy of his or her predictions. A better metric: a good analyst is the one learns from past mistakes. Ideally, an analyst's internal models of the world should change as the international situation does. If new inputs are not changing outputs, then they have a problem. The analyst too committed to a favorite proposition, policy, or ideology to see the world transform before him is not an analyst that deserves to be taken seriously. I will be honest: I have not followed Chang close enough to know if the wares he has for sale are simply old brews in new bottles. I don't know if the Party's success in overcoming one challenge to their rule after another has changed the way he understands Chinese affairs. If the events of the last two decades have not caused him to update his priors, then he deserves all the derision folks like to pile on him. On the other hand, I have followed Goldstein quite closely over the last few years. I am disappointed to find that nothing that has happened since he published his book has caused him to reassess his policy formula. Consider what has happened in just the last year and a half: we have seen the Hong Kong's independent institutions strangled. We have witnessed the slow erosion of Hong Konger's liberties. We have seen the Party construct a surveillance state unlike anything that has ever existed in human history. Most ominously for the Taiwanese, we have learned exactly how the Party deals with provinces full of separatist ideologues. These events have raised the stakes. One searches in vain for any recognition of this in Goldstein's writings. If you want to argue that Taiwan is impossible to defend, or that this defense would create an unacceptable risk of nuclear war—well, fine, go ahead and do so. But at this point the game, any analyst who argues that the United States should retreat from the defense of Taiwan needs to be brutally honest about the fate they are consigning the 23 million people of Taiwan to. EDIT (18 Aug 2018): See my follow up post to this: "Taiwan will be defended by the bullet or not at all"
 Lyle Goldstein, "The United States Must Be Realistic on Taiwan," National Interest, 7 August 2018. Ralph Jennings, "Taiwan finds a lot to like about its former colonizer, Japan," Los Angeles Times 6 November, 2017; The wikipedia page has a lot of information about Taiwanese donations to Japan; my numbers for the aid to China comes from the Chinese Red Cross, who report substantially larger numbers than international media did. Tanner Greer, "#Reviewing Fire on the Water & Meeting China Halfway," Strategy Bridge, 7 November 2018. 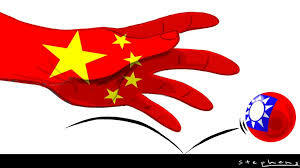 Goldstein, "The United States Must Be Realistic on Taiwan,"
 Philip Tetlock, Expert Political Judgement: How Good is it? How Can We Know? (Princeton: Princeton University Press, 2006); See also Tanner Greer, "The Limits of Expertise," The Scholar's Stage, 18 January 2018; Louis Menard. "Everybody's an Expert: Putting Political Expertise to the Test." The New Yorker, 5 December 2013. "The Origins of WEIRD Psychology"
Jonathan Schulz, Duman Barahmi-Rad, Jonathan Beauchamp, and Joseph Henrich. PsyArXiv. 2 July 2018. I have a hard time containing my praise for this paper. It is long--almost 100 when the bibliography is added on--but it is one of though most thorough and compelling pieces of historical social science I have read. The statistical tools Schulz et. al. use are as simple as they come, but these fellows found so many independent ways to measure the things they are interested in (differences in both psychology and family structure of global populations) that it is very, very difficult to pick apart their argument. This is a model of clever social science research design. It is also one answer to a set of questions that have been dodging political economists, historians, and comparative sociologists for the last two decades. I do not think this study closes the book on the question of "Why the West over the Rest?," but any new research in the field will be required to deal with Schultz et. al. 's results. "When Rio Tinto Met China's Iron Hand"
Kit Chellel. Franz Wild. David Stringer. Bloomberg. 12 July 2018. Albanese and another Rio executive met in London with Chinese ambassador Fu Ying. “You embarrassed China and China’s people in front of the world,” Fu told them, according to two people familiar with the conversation. But she offered them a way forward, however vague: Show the people of China Rio Tinto’s human side, and build a more cooperative relationship. "Can We Please Have Science Without the Science Journals?" Pascal Boyer. Cognition and Culture. 27 June 2018. Related: David Cyranoski, "Top Chinese University to Consider Social Media Posts in Researcher Evaluations," Nature (18 October 2017). David Auerbach. Waggish. 8 July 2018. Opposition to Trump personally has become the unifying thread. Standard Republican policies are far more terrifying under the auspices of Trump than they otherwise would be. ...Trump’s charisma exacerbates what I call Cortisol Politics, the basing of politics on the lowest instinctive fight-or-flight reactions of the brain. Trump has caused everything to seem like an emergency. Much of the right already felt this way thanks to the efforts of Rush, Hannity, and Fox over the last 20 years. Now the left feels that way too. "Why Identity Politics Benefits the Right More than the Left"
Sheri Burman. The Guardian. 14 July 2018. ...Perhaps because straightforward bigotry has declined precipitously while more subtle, complex resentments remain, understanding how intolerance shapes politics requires examining not just beliefs, but also the relationship between beliefs and the environments people find themselves in. This distinction has important implications for how we interpret and address contemporary social and political problems. Rather than being directly translated into behavior, psychologists tell us beliefs can remain latent until “triggered”. In a fascinating study, Karen Stenner shows in The Authoritarian Dynamic that while some individuals have “predispositions” towards intolerance, these predispositions require an external stimulus to be transformed into actions. Or, as another scholar puts it: “It’s as though some people have a button on their foreheads, and when the button is pushed, they suddenly become intensely focused on defending their in-group … But when they perceive no such threat, their behavior is not unusually intolerant. So the key is to understand what pushes that button. What pushes that button, Stenner and others find, is group-based threats. "Spy For Us — Or Never Speak To Your Family Again"
Megha Rajagopalan. BuzzFeed News. 9 July 2018. Related: Charles Rollet, "In China's Far West, Companies Cash in on Surveilance Program that Targets Muslims," Foreign Policy (13 June 2018). "How E-Commerce is Transforming Rural China"
Fan Jiayang. New Yorker. 23 July 2018. "Payment due: Pacific islands in the red as debts to China mount"
Charlotte Greenfield and Jonathan Barrett. Reuters. 30 July 2018. Communist Youth League. Bilibili Video, 17 March 2017. In case you were wondering what Communist Youth League propaganda looks like in the 21st century... now you know. Review of Zhao Dingxin. The Confucian-Legalist State: A New Theory of Chinese History. Yuri Pines. Early China, vol 39. (2016) pp 311–320. This is an accurate, but vicious review of Zhao's book. Writing a social science based account of Chinese history that Pines cannot tear to smithereens would be a very good life-goal. "Material security, life history, and moralistic religions: A cross-cultural examination"
Benjamin Purzycki, et. al. PLoS ONE vol 13, iss 3. March 2018. This paper looks like it is the final nail in the "life history" theories of religious behavior (if you don't know what "life history approaches" mean, read the lit review section of the paper carefully; it is a cogent introduction). "Behavioural variation in 172 small-scale societies indicates that social learning is the main mode of human adaptation"
Sarah Mathew and Charles Perreault. Proceedings of the Royal Society B: Biological Sciences, vol 282, iss 1820. 7 July 2015. Cultural history has a larger effect than ecology in a majority of the traits in the categories of technology and material culture, marriage and family organization, economic organization, ceremonies and rituals, supernatural beliefs, kinship system, political organization, warfare, settlement patterns and sodalities (figure 2a). Conversely, the effect of ecology is larger than that of cultural history in a majority of the traits related to subsistence. Cultural phylogeny is a stronger predictor than ecology for a majority of the traits in all categories of traits, except for technology and material culture, and subsistence (figure 2b). It is also a stronger predictor than spatial distance for a majority of traits in all categories (figure 2c). Finally, ecology is a stronger predictor than spatial distance for a majority of traits in all categories (figure 2d)…. The results indicate that behaviours can persist over millennia within a cultural lineage. We detected a positive effect of cultural history at every phylogenetic level, including the deepest level, phylum. This is striking, since phylum divides the tribes into two groups, Na-Dene and Amerind, a split that may be as old as 15 000 years. The results also suggest that groups diverge linguistically more rapidly than they do behaviourally… The importance of Levels 6 and 7 imply that the behavioural repertoire of a tribe is strongly influenced by that of its ancestors that lived hundreds (if not thousands) of years ago. Levels 6 and 7 may represent shared ancestry more than 1000 years ago. For instance, the speakers of Salishan languages share a common ancestor at Level 6 and may have begun to diverge about 3000 years ago…The fact that cultural phylogeny has a stronger effect than spatial distance on the presence of behavioural traits indicates that learning from group members is a more important process than learning from members of other groups. "The Social Dynamics of Sorcery"
William Buckner. Traditions of Conflict. 6 July 2018. See also: William Buckner, "A Tale of Sorcery and Marriage Among the Gebusi," 9 June 2018. "After Last Year's Hurricane, Carribean Lizards are Better at Holding on For Dear Life." Ed Yong. The Atlantic. 25 July 2018. This is a dramatic example of evolution in action. Original paper here. "Meet the Navy’s new ‘mothership’ that fights with unmanned drones and vessels"
Aqil Haziq Mahmud. Channel News Asia. 6 June 2018. "The Spy Who Drove Me"
Julia Ioffe. GQ. 24 July 2018. "Pos Shawarma: On Avengers Infinity Wars"
Aaron Brody. LA Review of Books. 2 May 2018. "What Makes a Story Wuxia? The Grace of Kings vs. The Black Trillium""
"Sarah K." Notes That Do Not Fit. 25 May 2018.